Most household glass cleaners contain ammonia or other harsh chemicals that are toxic to fish, reptiles and invertebrates. 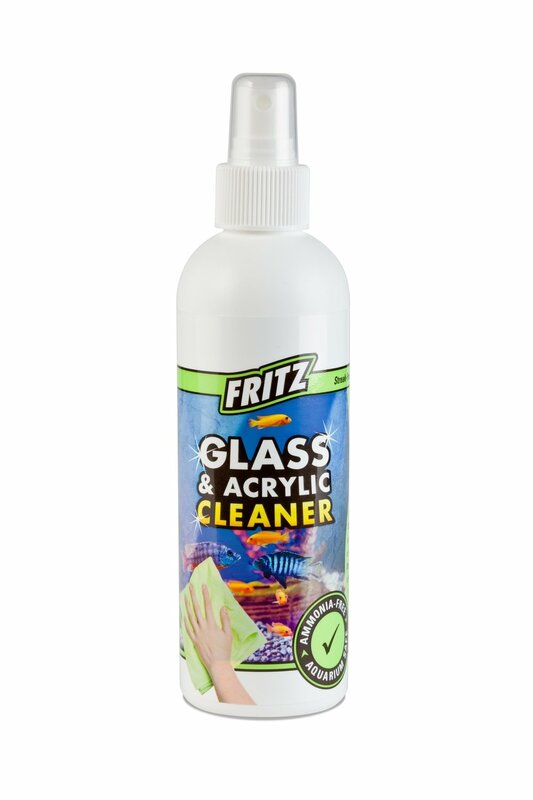 Fritz Glass & Acrylic Cleaner is ammonia-free and safe to use on exterior surfaces around an aquarium or terrarium. Unique streak-free and drip-free formulation helps repel dust, fingerprints and water spots. Also great for electronics.